Are you experiencing workplace stress? Although the Institute is often asked to construct lists of the “most” and “least” stressful occupations, such rankings have little importance for several reasons. It is not the job but the person-environment fit that matters. Some individuals thrive in the time urgent pressure cooker of life in the fast lane, having to perform several duties at the same time and a list of things to do that would overwhelm most of us — provided they perceive that they are in control. They would be severely stressed by dull, dead-end assembly line work enjoyed by others who shun responsibility and simply want to perform a task that is well within their capabilities. The stresses that a policeman or high school teacher working in an inner city ghetto are subjected to are quite different than those experienced by their counterparts in rural Iowa. It is necessary to keep this in mind when sweeping statements are made about the degree of stress in teachers, police personnel, physicians and other occupations. 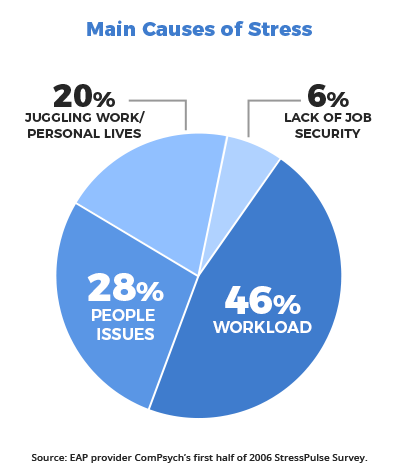 Stress levels can vary widely even in identical situations for different reasons. Stress is a highly personalized phenomenon and can vary widely even in identical situations for different reasons. One survey showed that having to complete paperwork was more stressful for many police officers than the dangers associated with pursuing criminals. 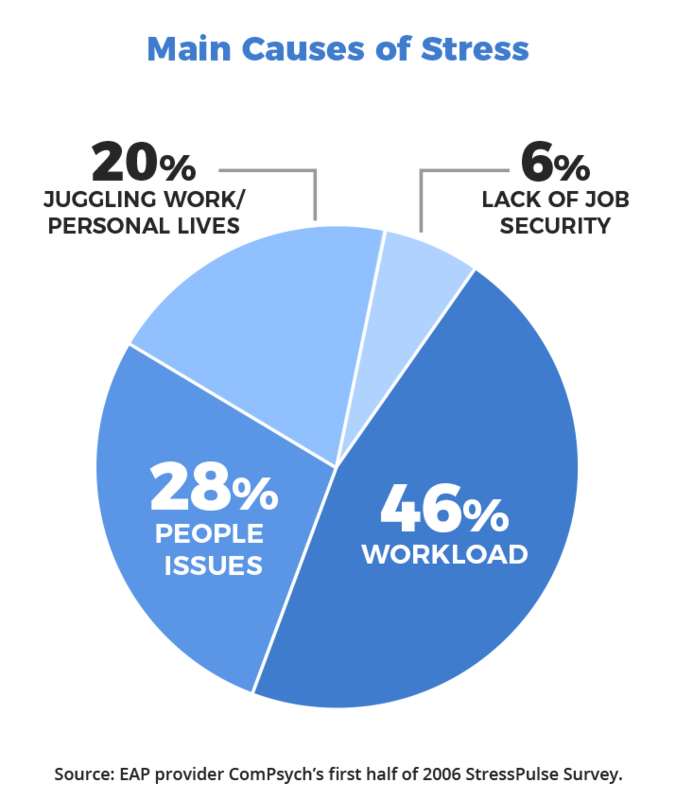 The severity of job stress depends on the magnitude of the demands that are being made and the individual’s sense of control or decision-making latitude he or she has in dealing with them. Scientific studies based on this model confirm that workers who perceive they are subjected to high demands but have little control are at increased risk for cardiovascular disease. 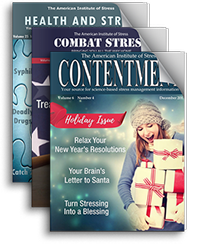 Numerous surveys and studies confirm that occupational pressures and fears are far and away the leading source of stress for American adults and that these have steadily increased over the past few decades. While there are tons of statistics to support these allegations, how significant they are, depends on such things as how the information was obtained (self-report vs. answers to carefully worded questions), the size and demographics of the targeted group, how participants were selected and who sponsored the study. Some self-serving polls claiming that a particular occupation is “the most stressful” are conducted by unions or organizations in an attempt to get higher wages or better benefits for their members. Others may be conducted to promote a product, such as the “Stress In the Nineties” survey by the maker of a deodorant that found housewives were under more stress than the CEOs of major corporations. Such a conclusion might be anticipated from telephone calls to residential phones conducted in the afternoon. It is crucial to keep all these caveats in mind when evaluating job stress statistics. According to two studies the United States has the dubious distinction of having the highest violent crime rate of any industrialized nation. An average of 20 workers are murdered each week in the U. S. making homicide the second highest cause of workplace deaths and the leading one for females. 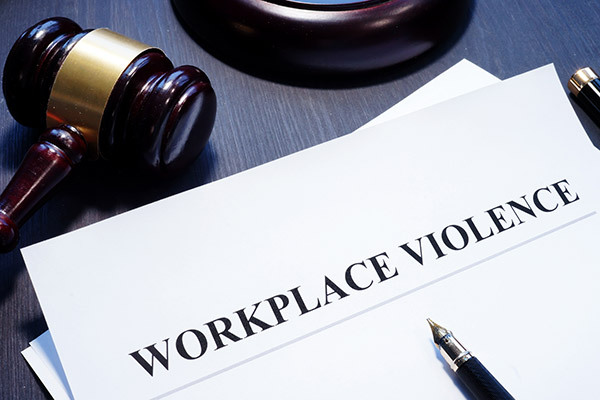 18,000 non-fatal violent crimes such as sexual and other assaults also occur each week while the victim is working, or about a million a year. The figures are probably higher since many are not reported. Certain dangerous occupations like police officers and cab drivers understandably have higher rates of homicide and non-fatal assaults. Nevertheless, postal workers who work in a safe environment have experienced so many fatalities due to job stress that “going postal” has crept into our language. “Desk rage” and “phone rage” have also become increasingly common terms. According to a survey of 800,000 workers in over 300 companies, the number of employees calling in sick because of stress tripled from 1996 to 2000. An estimated 1 million workers are absent every day due to stress. 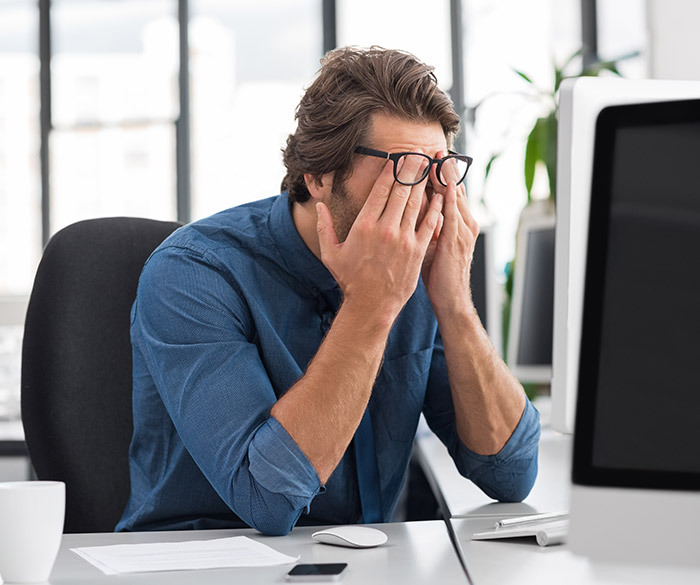 The European Agency for Safety and Health at Work reported that over half of the 550 million working days lost annually in the U.S. from absenteeism are stress related and that one in five of all last minute no-shows are due to job stress. If this occurs in key employees it can have a domino effect that spreads down the line to disrupt scheduled operations. 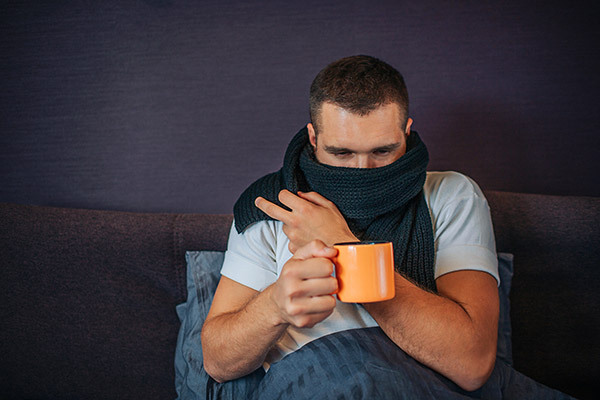 Unanticipated absenteeism is estimated to cost American companies $602.00/worker/year and the price tag for large employers could approach $3.5 million annually. 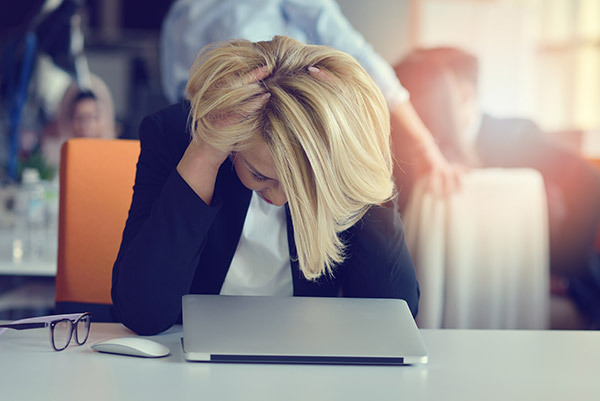 A 1997 three year study conducted by one large corporation found that 60% of employee absences could be traced to psychological problems that were due to job stress. A 1999 government study reported that more jobs had been lost in the previous year than any other year in the last half century, and that the number of workers fearful of losing their jobs had more than doubled over the past decade. That was several years ago and the problem has worsened considerably since then. A February 2000 poll found that almost 50 percent of employees were concerned about retaining their job and with good reason. There were massive layoffs due to down-sizing and bankruptcies including the collapse of over 200 dot.com companies. The unemployment rate by the end of the year was the highest it had been in 16 months. Nor have things improved since then. A report released on September 10, 2001 stated that “more than 1 million Americans lost their jobs this year, 83% higher than last year’s total.” That was a day before the Twin Towers disaster, which added to the problems of job stress and insecurity for many workers. Since then we have witnessed the collapse of Enron and its tidal wave of repercussions on other companies and their employees. There are fears that this may be just the tip of the iceberg as accounting irregularities of a similar nature may augur the downfall of other large organizations widely assumed to be on a solid financial footing.